Valet Tray Material: Genuine Italian Leather Features: Button Snaps, Pig Skin Interior Lining, & Charger Cord Openings on the Side Uses Include: golf tournament, customer appreciation, gifts, corporate gifts, charity events, holiday events, realtor closing gifts, executive board member gifts, graduation gifts, father's day gifts and groomsmen gifts. The rustic leather front load letter tray accepts stacking tray posts. 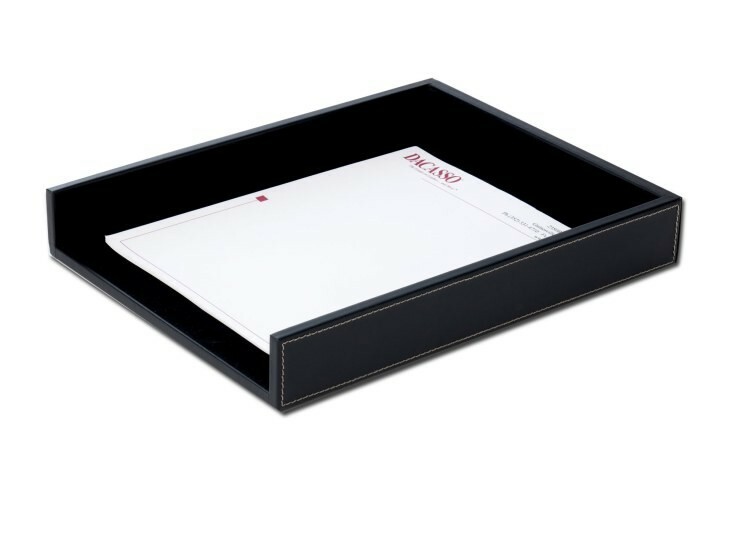 This tray features an easy access open front, white accent stitching, felt interior lining, protective felt bottom and top grain leather. 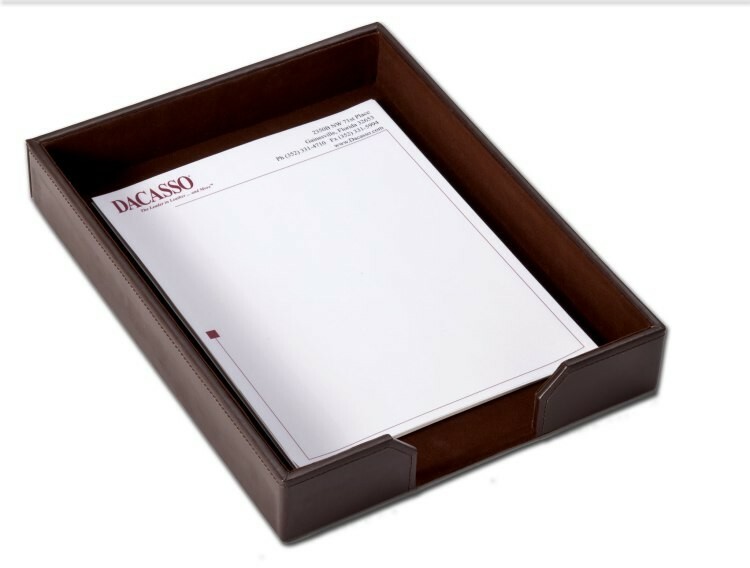 The econo line leather letter tray has a partially open front that allows easy access and accepts stacking tray posts. 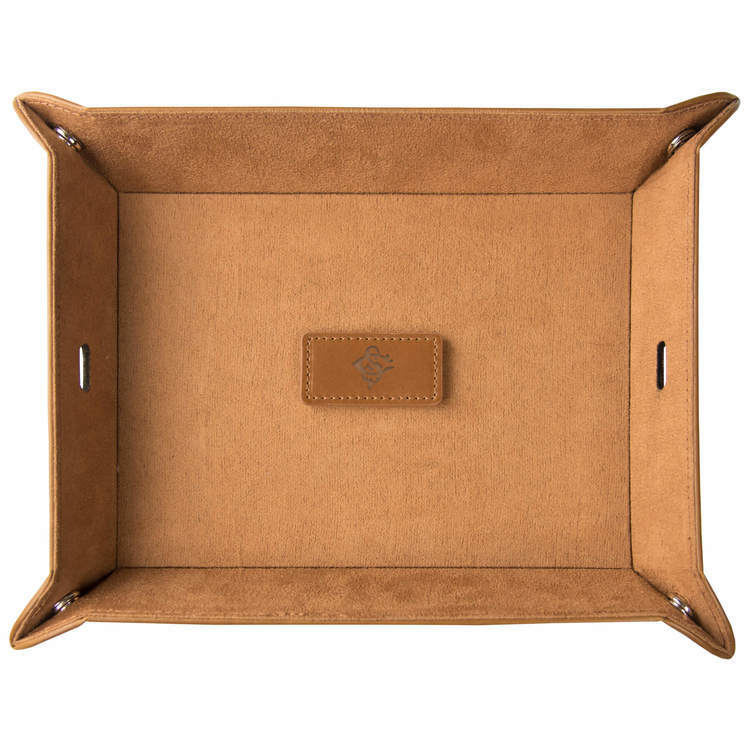 This tray features a felt interior lining, protective felt bottom and bonded leather. 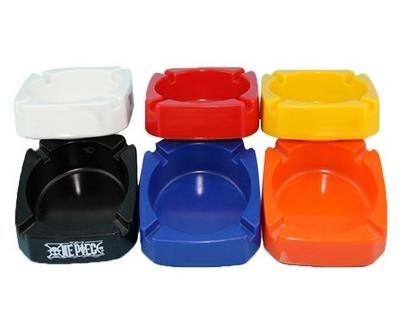 This Silicone Ice Trays are sturdy and easy to fill. 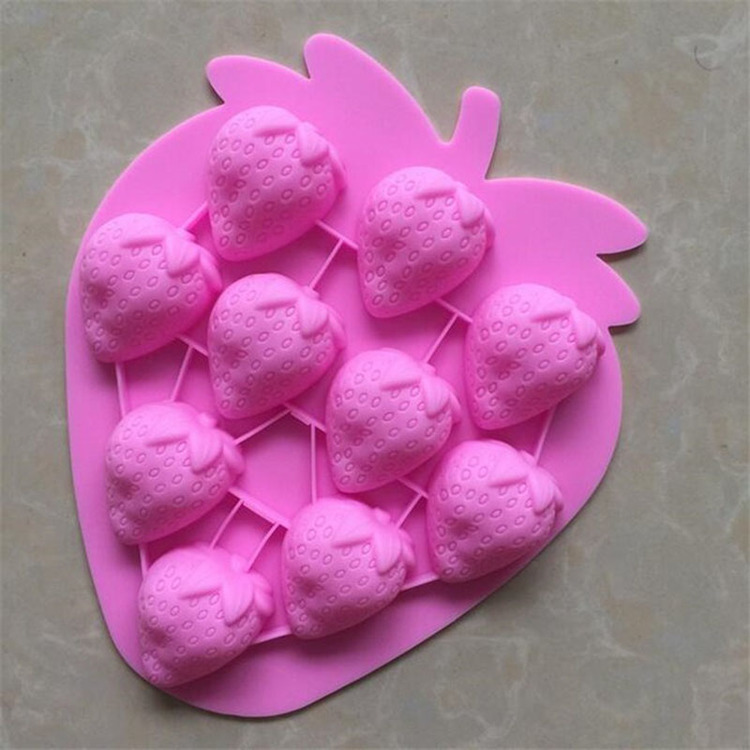 Made from soft, flexible food-grade silicone. 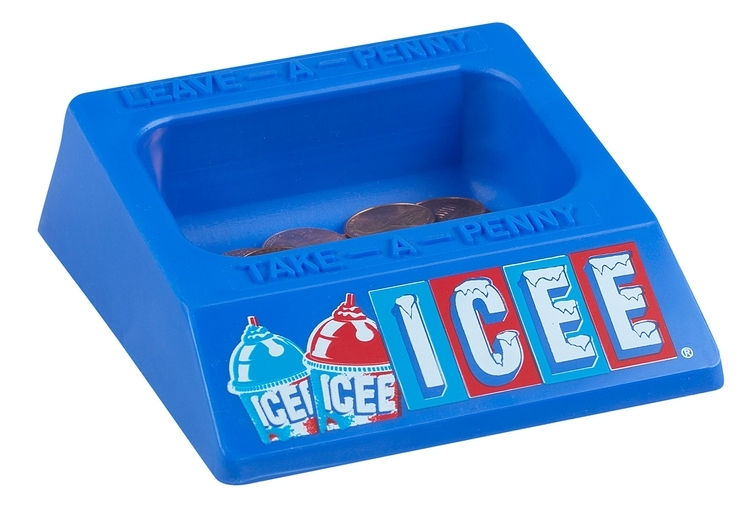 The ice trays make perfectly shaped that are easy to remove. 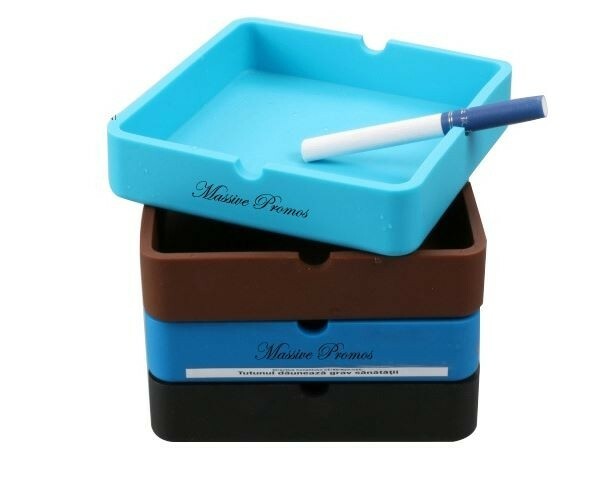 These trays are beautiful, and to avoid odors that can be absorbed in the freezer, simply wash the trays with a diluted solution of vinegar and water. 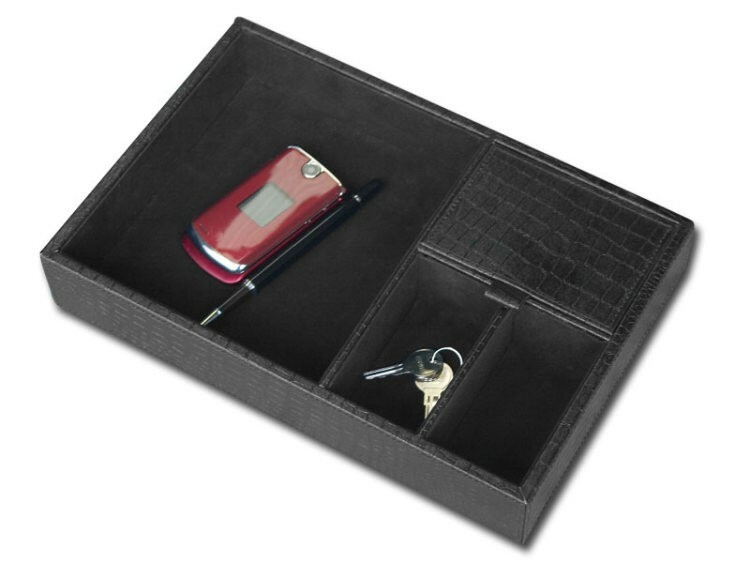 The crocodile embossed leather standard valet tray has a great imprint area on the lid of the concealed compartment and features a 2" compartment depth, 3 open compartments, 1 concealed compartment and crocodile embossed top grain leather. 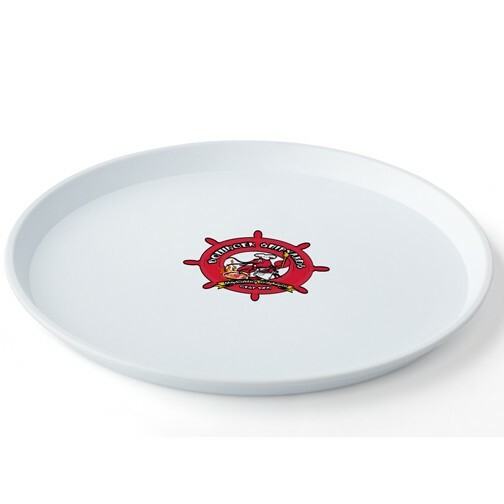 Sand cast aluminum serving tray with enameled rim with braided trim detailing and is tarnish free. 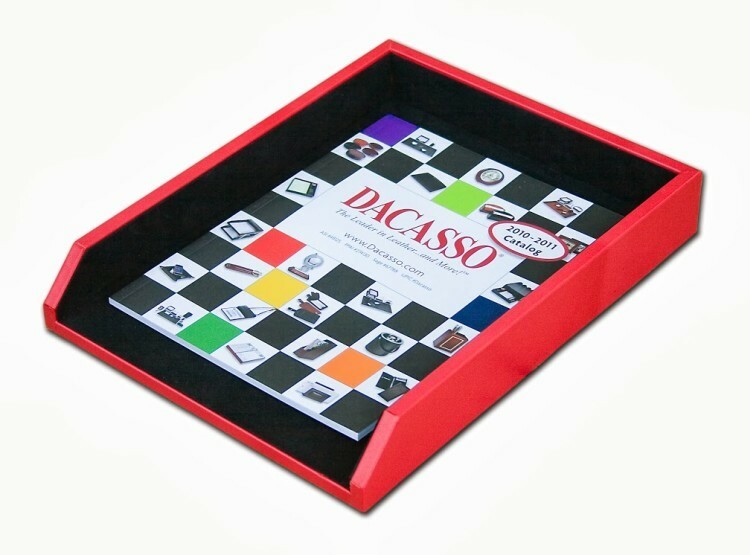 Available in Large (12 3/4" Square) with 3 1/2"x 3/12" etched area; Small (11" Square) with a 3"x3" etched area. 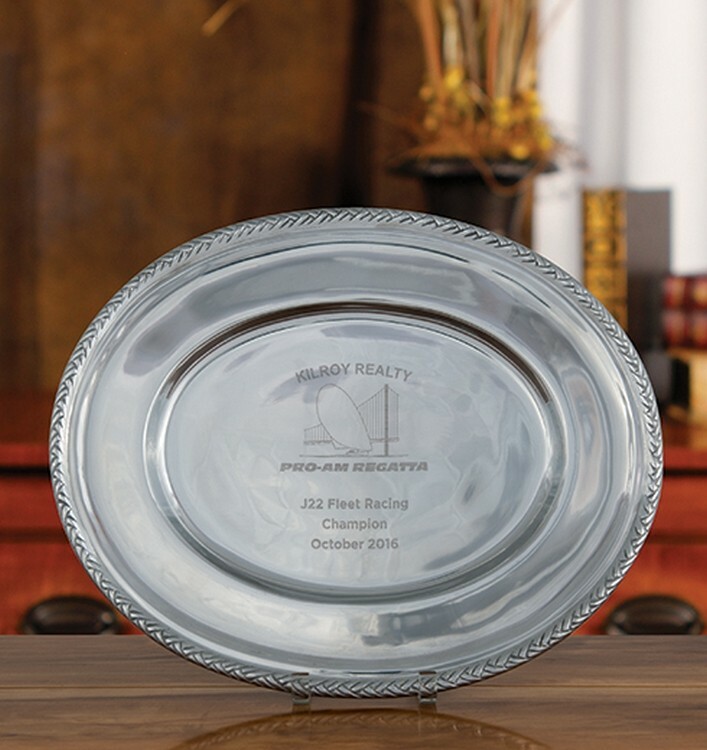 Sand cast aluminum serving tray with braided rim detailing and is tarnish free. 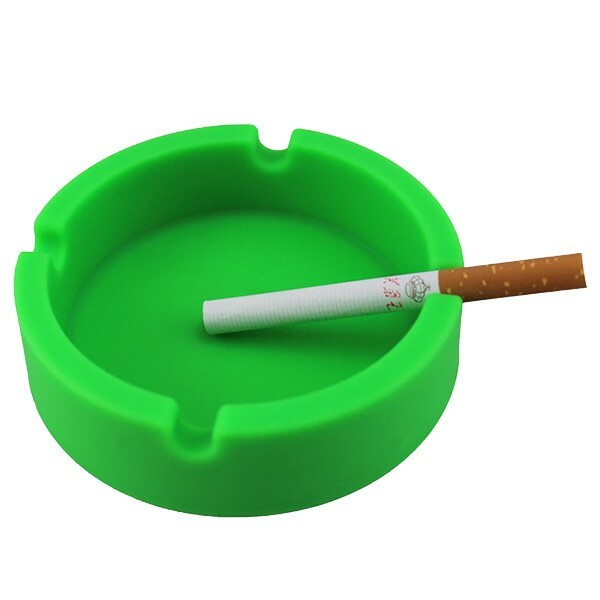 Available in Large (13" Diameter) with 3 3/4"x 3 3/4" etched area; Medium (11" Diameter) with a 3 1/4"x3 1/4" etched area, and Small (9" Diameter) with a 3"x3" etched area. 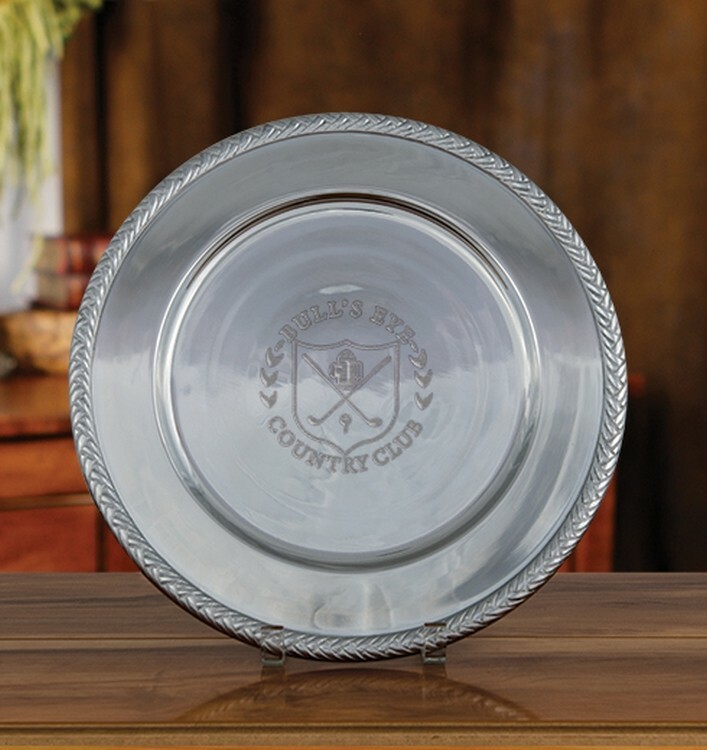 Sand cast aluminum serving tray with braided rim detailing and is tarnish free. 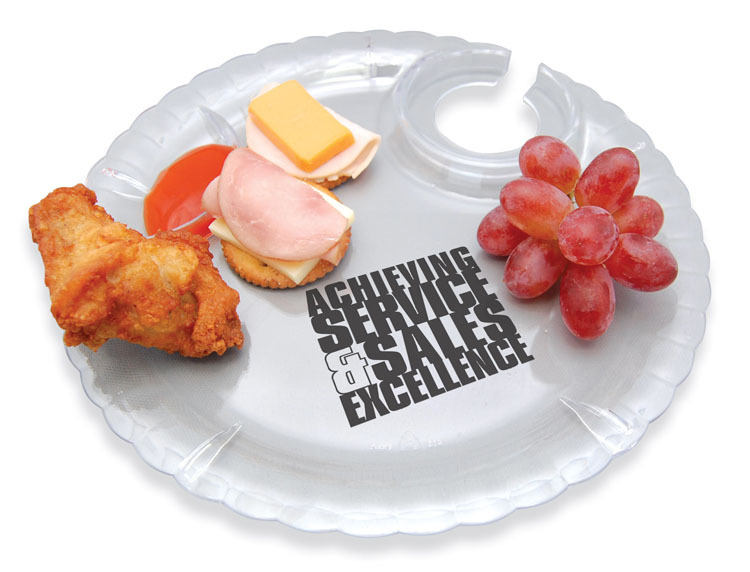 Available in Large (18"x 14 1/2") with 4 1/2"x 4" etched area; Medium (16"x 12 1/2") with a 4"x3 1/2" etched area, and Small (14"x11") with a 3"x2 1/2" etched area. 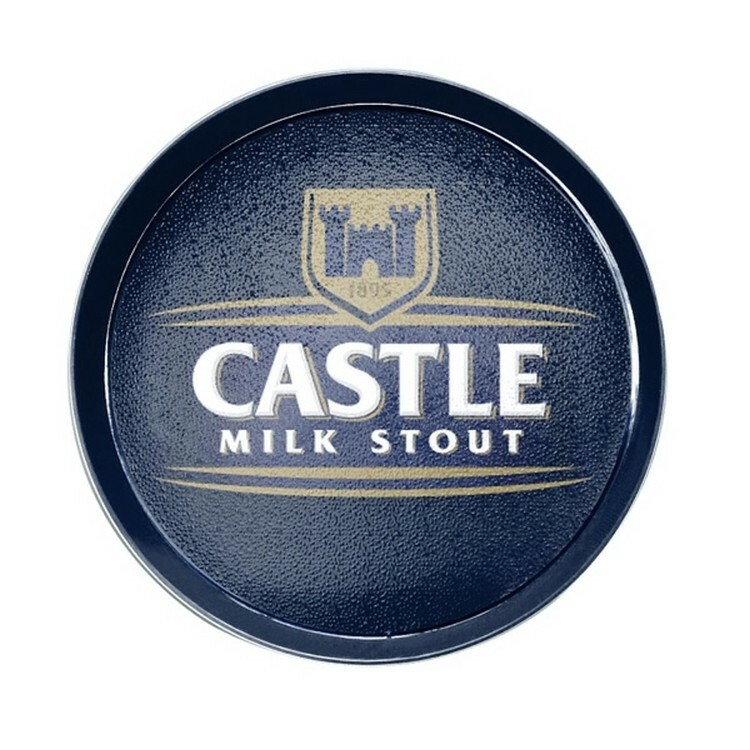 This is made of ABS material.The size is 13"X1.97".It is used in restaurant,hotel and night bars.It is anti slip function makes it an ideal serving tray for beverage or alchohol.It can also be called beer plate or bar tray.Logo can be use heat transfer printing or silk-printing.Welcome to enquiry for bar serving tray,beer tray,bar plate round tray. 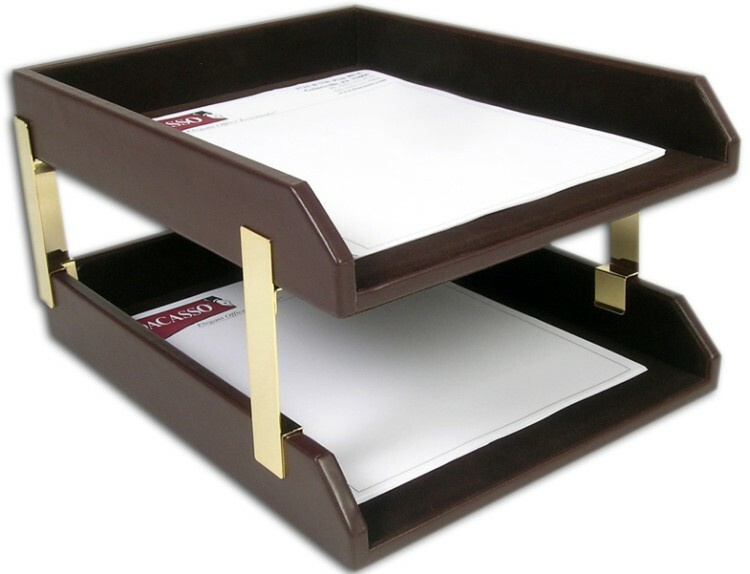 The classic leather double front load letter trays include gold stacking tray posts and the option of silver posts with black trays only. 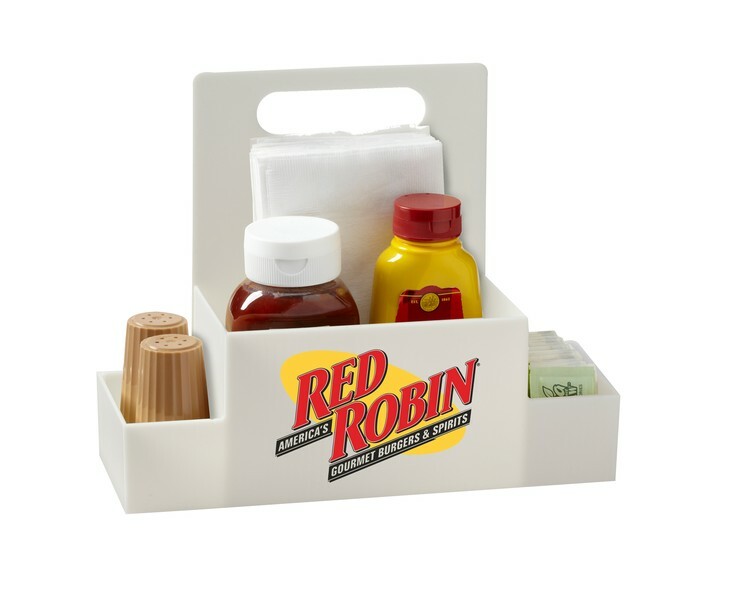 These trays features easy access open front, felt interior lining, protective felt bottom and top grain leather. 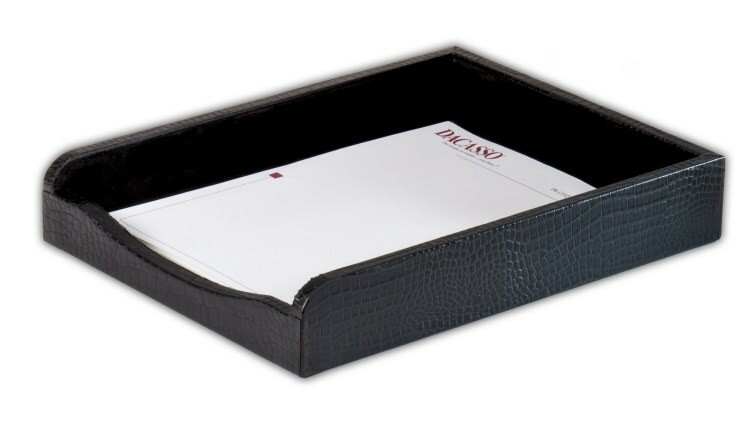 The crocodile embossed leather front load letter tray accepts stacking tray posts and features suede interior lining and protective felt bottom. 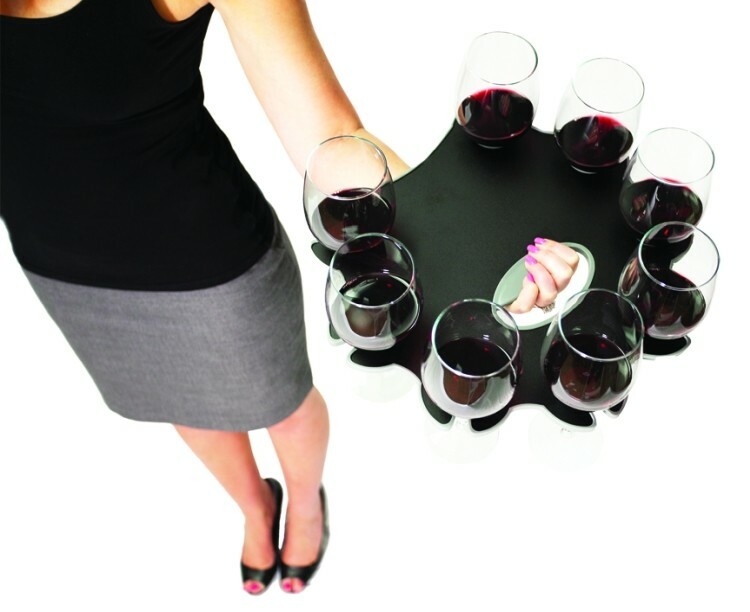 This well balanced tray can handle up to 8 (eight) wine glass stems at a time. 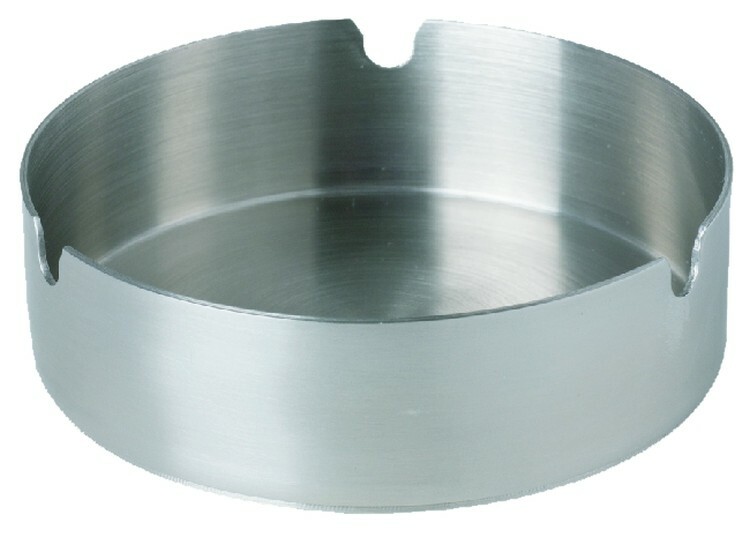 Great for serving and great for cleaning tables of glassware. 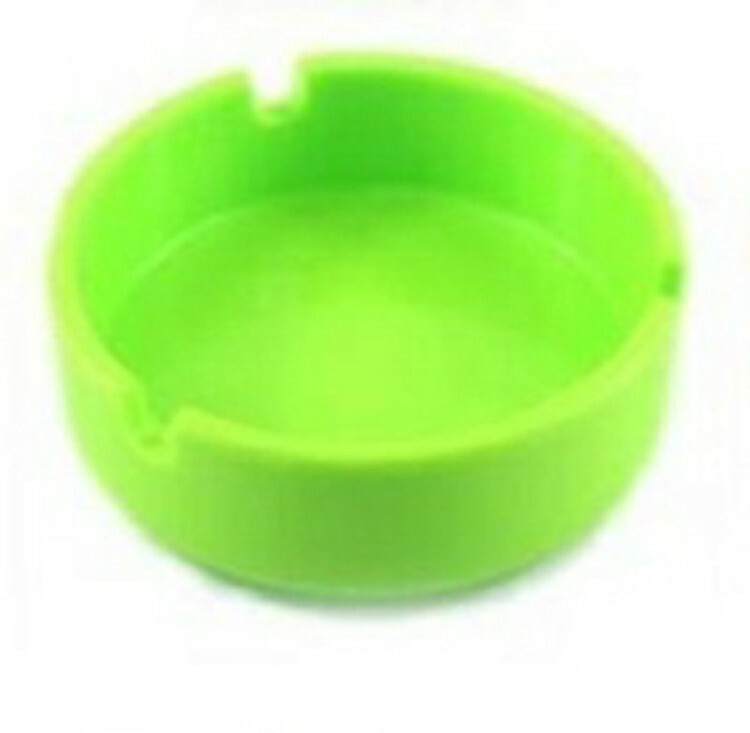 The base tray is made of hard ABS black plastic and is 5 mm (0.2 inches) thick. 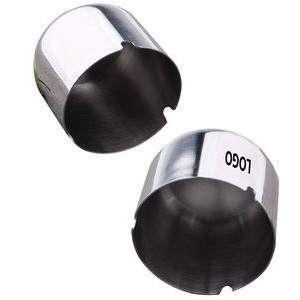 All edges are surrounded with a soft liner of gray, thermoplastic rubber. 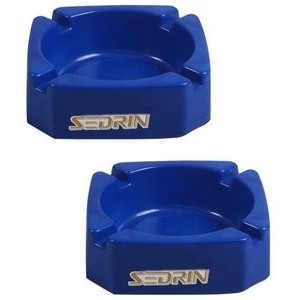 This creates 8 flexible stemware sockets to hold glasses securely. 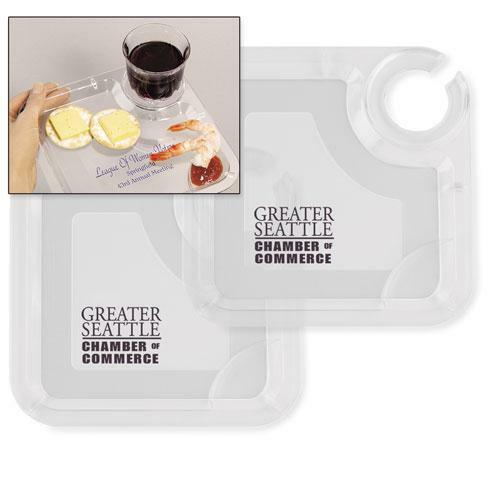 The same material extends underneath the tray all the way from the hand hold cutout with expanded thumb rest padding. Our Rialto Tray is the perfect accessory for a dresser or desk to hold keys, jewelry, or anything that needs a place to rest. 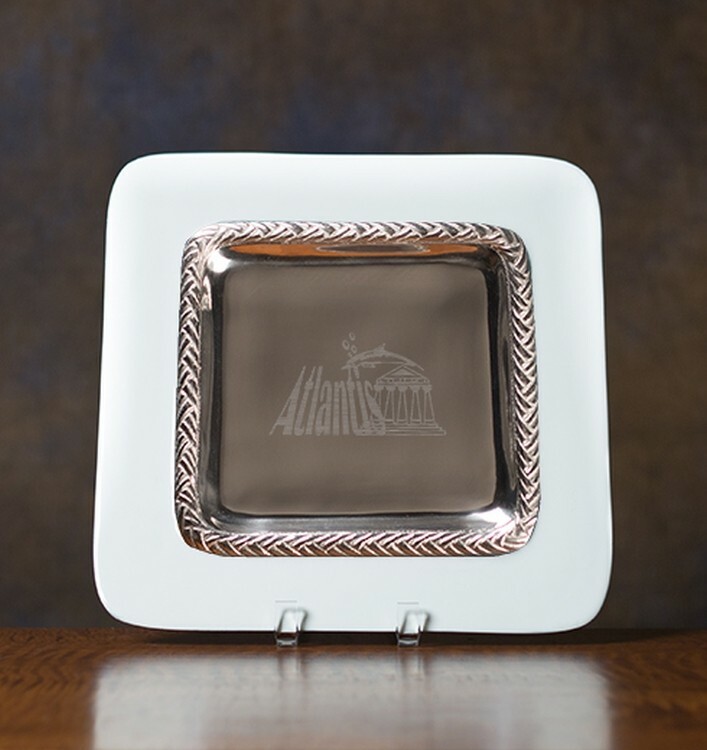 Made from fine quality imported glass, this piece features reverse-side etching to maintain its smooth surface and create an attractive show-through effect. Packaged in an attractive gift box. 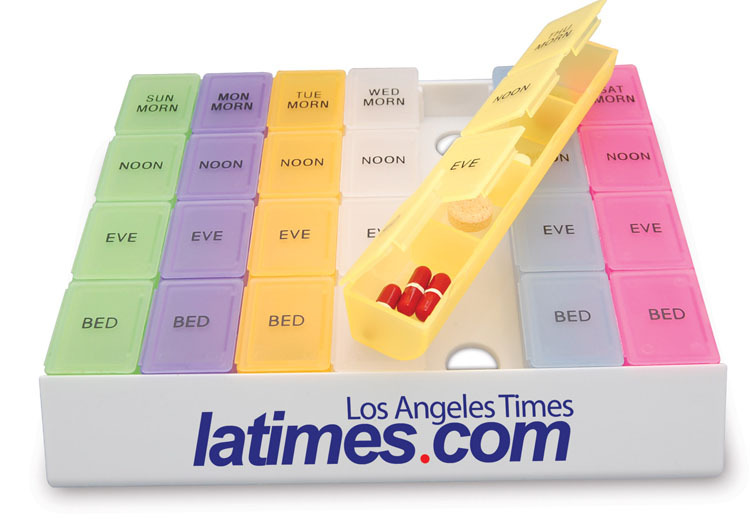 The econo line leather letter tray has a partially open front that allows easy access and includes silver stacking tray posts. 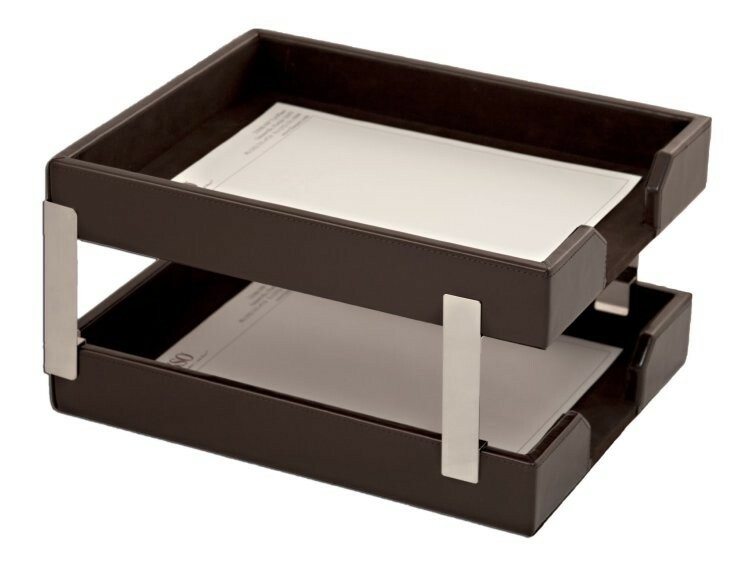 This tray features a felt interior lining, protective felt bottom and bonded leather. 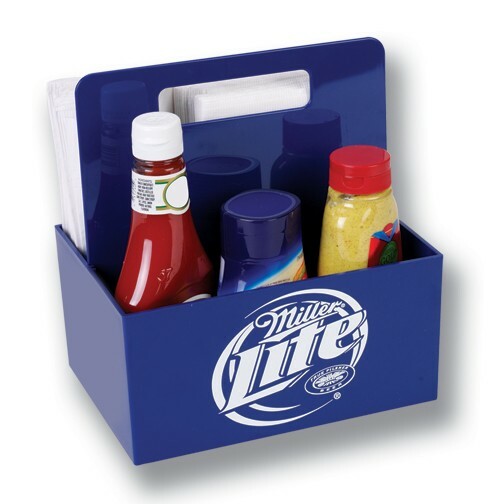 The classic leather front load letter tray accepts stacking tray posts and features an easy access open front, felt interior lining, protective felt bottom and top grain leather. 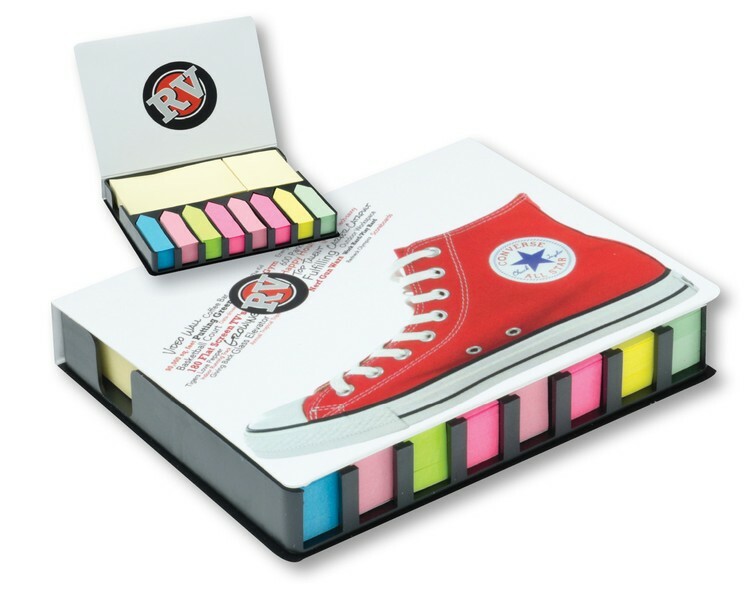 Sticky Note Tray with colorful flags, Full color card stock cover, glossy finish, printed on outside cover, inside cover, outside spine and bottom.